Jamie at Quail Seeds wants to sell herb seeds .. if you have any contact her on Facebook Quail Seeds or at quailseeds@gmail.com. Claudia spoke of her interest in utilizing Sida Acuta as a product for the Guild. Dates? Late June does not work as it collides with Kate Wolf. We need to set a date far enough ahead to give adequate time for planning. Katie spoke about the Education Pod, would like to bring teachers to offer classes around topics such as Herbal First Aide. Ana VIctoria suggested that Avenues to Wellness may be a good partnership. Bring a teacher in? ? for the guild and for the community. Sara Grusky – The Farmers Convergence on Feb 17 is requesting MCHG presence to give a presentation. It is at Ridgewood Ranch all day. Possible topics discussed, one being a focus on Farmers First Aid. Food as Medicine, Medicine as Food. Sara wants partners to make this happen. Contact: homesteadingsara@gmail.com. Perhaps this is a good place to work to get names for the Exchange Directory. Sara Grusky spoke about an Educational Opportunity at the School of Adaptive Agriculture School at Ridgewood Ranch. 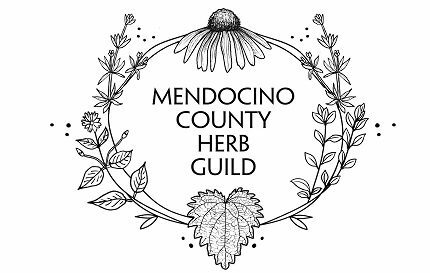 They are developing this years course catalog and she things that the Herb Guild could have a class/an Herb walk ( series) put into the program. Workshops for the community. They are offering that the Herb Guild be part of this. Anyone interested please contact Sara ASAP. homesteadingsara@gmail.com. Deadline is the end of February. This is a great opportunity. It is a paid teaching position and brings more exposure to the MCHG. AnnaHope asked members present is there was any interest in salve making as a product for the guild. Discussion about non MJ vs added MJ and how the HG members feel about having MJ as a product line. Salve making could be co-produced with Flow Kana. A contact sheet was passed around for those interested in furthering the conversation w AnnaHope. We ended the meeting with a great lively discussion about what 10 herbs we have or that we want to plant this next year. An IDEA was generated about making a Tea Blend for the MCHG to put together as a product. 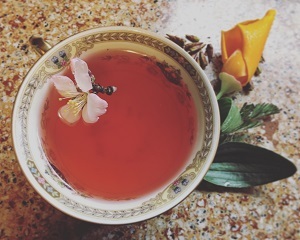 Continue discussion about the Tea as a product idea. Everyone is encourage to start some plant or seed starts to share with each other in a couple months. Feb 26 5:30 – 7 @ Cultivate Wellness – Inland MCHG meeting.